One of the things I love about going back to the province is the food. And one delicious food that I always look for is the Tamales. Though it's easy to find tamales somewhere in the metro, nothing beats the tamales from my father's hometown. 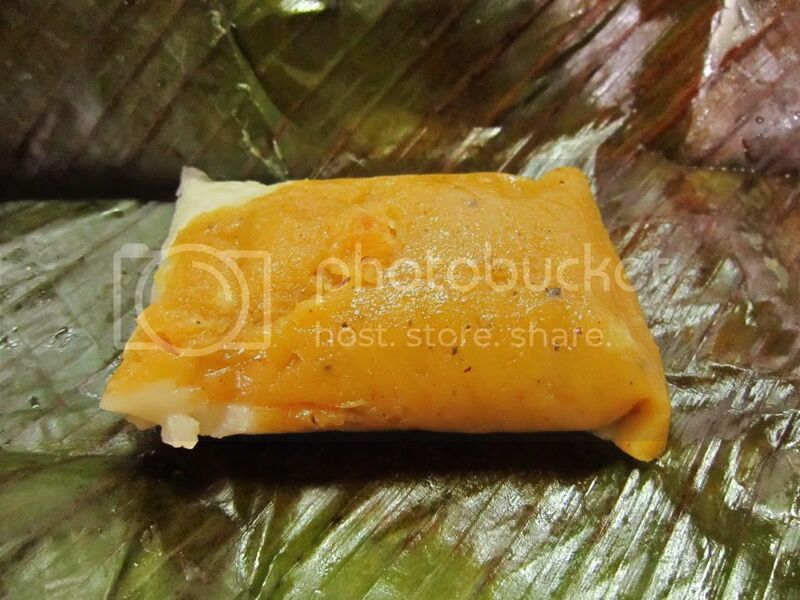 It was such a hit that when I asked my aunt to buy tamales for me one early morning, she only managed to bring me one piece. A piece costs Php10. I love the sweetness and spiciness of the tamales. Unlike the common native delicacies which are usually partnered with niyog, tamales is best partnered with a bit of fish sauce (patis). It should also be eaten while it's hot. It can also be reheated through microwave oven. I love how the tamales sticks to the spoon and to my palate. I love the mild spiciness and sweetness with a bit of saltiness. It seems too heavy in the stomach, but I can't get enough of it. 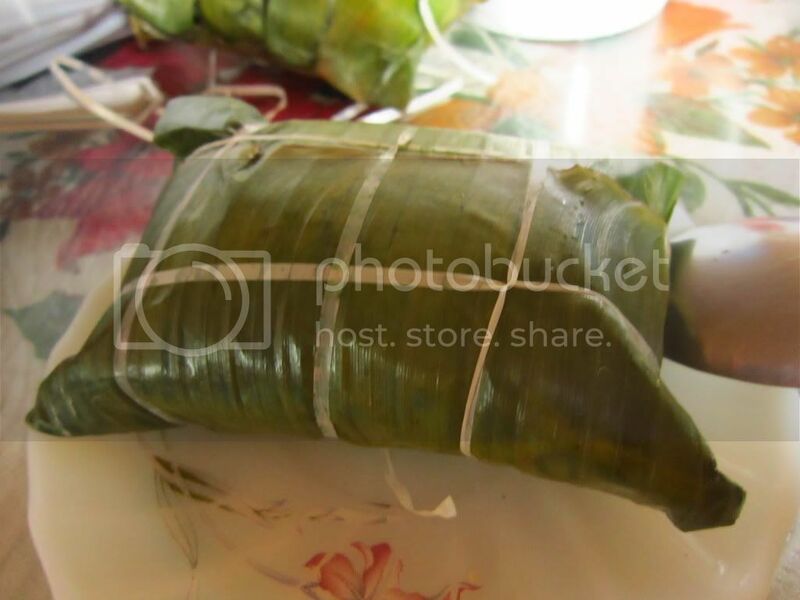 The next morning, I had my aunt buy 10 pieces of tamales for me to take home. But it was too irresistible that I got to take home 4 pieces. How I wish I could eat tamales daily. Erm, what's a tamales? Haha ... I thought it was something spicy. Toink. I thought your title for this post was "My love for Temples". 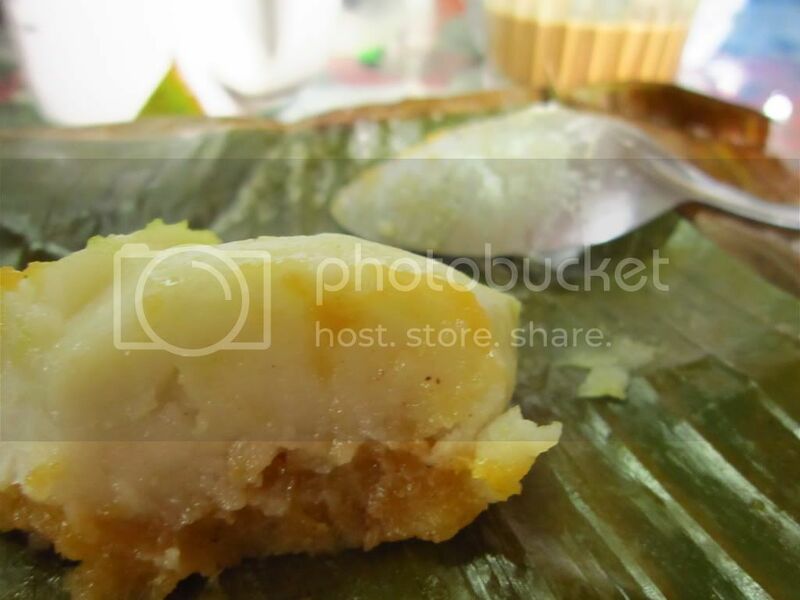 I clicked it from my blogger, redirected here and saw a native food. Where are the temples? Hahaha! Tamales is delicacy from the north am I right? Pangasinan ba or Ilocos?I'm familiar with it since my father also loves tamales.I haven't tried it though. I'm sure it's made of rice but I'm not sure about the other ingredients. Oh yes there's salted egg. OMG, I just eat.hahaha.